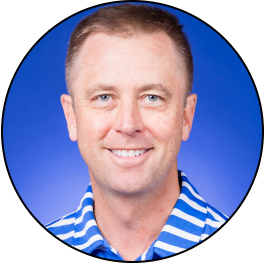 Jamie Green became the men’s golf coach at Duke University on January 9, 2009, following a highly successful five and a half year stint in the same capacity at UNC Charlotte. Since 2009, Green has maintained the high standards of Duke’s renowned Men’s Golf program. He has guided the team to set multiple school records and win high achievements, including ranking among the top 5 teams in the country, the 2012-2013 five tournament wins and the 2013 ACC Championship, winning Green the 2013 ACC Coach of the Year. During his career, he has coached 6 All-American and 20 All-Conference athletes. In 2015, Duke posted two tournament wins to reach the 2015 NCAA Championship, his 7th appearance in his head coaching career. Green also has a strong academic reputation. During his head coaching career, Green posts 43 total student athletes with Academic All-American or All-Conference honors. While at Duke, Green’s players have earned multiple awards including All-ACC Honor Roll and the ACC All-Academic team. One of Green’s esteemed alumnus, Brinson Paolini, a 2 time all-American and 2 time all-American scholar, was awarded the prestigious Byron Nelson award This prestigious award is given to the nation’s top senior male golfer in Division 1 athletics. 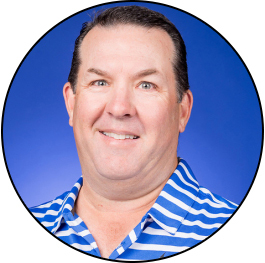 A 1993 graduate of Ohio Wesleyan University and a member of the Golf Coaches Association of America since 1995, Green has contributed to multiple committees in the collegiate golf coaching community. Posts served include 2015 Golf Coaches Association of American All American Committee Chairman, 2015 Palmer Cup Selection Committee Chairman, 2013 Ben Hogan Selection Committee Chairman, 2011 Jack Nicklaus Player of the Year Award Chairman, 2009-2015 Golf Coaches Association of America East Region Chairman and 2009-2015 Member of the 6-person Golf Coaches Association of American All American Committee marking the longest tenure for a member of this committee in GCAA’s history. Coach Green’s biggest fans will always be his wife, Pamela, and their children Azzie (13), Jack, Olivia and Tess (10 year old triplets).